The New Imperialism (sometimes Neoimperialism or Neo-imperialism) was a period of colonial expansion—and its accompanying ideologies—by the European powers, the United States of America, and the Empire of Japan during the late 19th and early 20th centuries. The period is distinguished by an unprecedented pursuit of overseas territorial acquisitions. At the time, states focused on building their empires with new technological advances and developments, making their territory bigger through conquest, and exploiting their resources. The qualifier "new" is to contrast with the first wave of European colonization between the 15th and early 19th centuries or imperialism in general. In the first wave of colonization, the European powers had originally conquered and colonized the Americas and later established outposts in Africa and Asia. 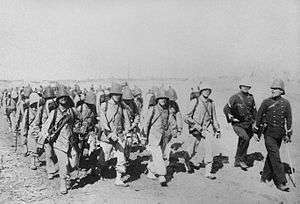 During the era of New Imperialism, the Western powers (and Japan) conquered almost all of Africa and parts of Asia. The new wave of imperialism reflected ongoing rivalries among the great powers, the economic desire for new resources and markets, and a "civilizing mission" ethos. Many of the colonies established during this era gained independence during the era of decolonization that followed World War II. In Britain, the age of new imperialism marked a time for significant economic changes. Because the country was the first to industrialize, Britain was technologically ahead of many other countries throughout the majority of the nineteenth century. However, by the end of the nineteenth century, other countries such as Germany, the United States, Russia, and Italy soon matched Britain in technological and thus, economic, power. After several decades of monopoly, the country was battling to maintain a dominant economic position while other powers became more involved in international markets. In 1870, Britain contained 31.8% of the world's manufacturing capacity while the United States contained 23.3% and Germany contained 13.2%. By 1910, Britain's manufacturing capacity had dropped to 14.7% while the United States had risen to 35.3% and Germany to 15.9%. As countries like Germany and America became more economically successful, they began to become more involved with imperialism, resulting in the British struggling to maintain the volume of British trade and investment overseas. Britain further faced strained international relations with the three expansionist powers (Japan, Germany, and Italy) during the early twentieth century. Before 1939, these three powers never directly threatened Britain itself, but the indirect dangers to the Empire were clear. By the 1930s, Britain worried that Japan would threaten its holdings in the Far East as well as territories in India, Australia and New Zealand. Italy held an interest in North Africa, which threatened British Egypt, and German dominance of the European continent held some danger for Britain's security. Britain worried that the expansionist powers would cause the breakdown of international stability; as such, British foreign policy attempted to protect the stability in a rapidly changing world. With its stability and holdings threatened, Britain decided to adopt a policy of concession rather than resistance, a policy that became known as appeasement. In the 17th century, the British businessmen arrived in India and, after taking a small portion of land, formed the East India Company. 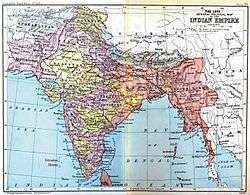 The British East India Company annexed most of the country of India, starting with Bengal in 1757 and ending with Punjab in 1849. 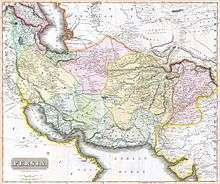 Many princely states remained independent. This was aided by a power vacuum formed by the collapse of the Mughal Empire in India and the death of Mughal Emperor Aurangzeb and increased British forces in India because of colonial conflicts with France. The invention of clipper ships in the early 1800s cut the trip to India from Europe in half from 6 months to 3 months; the British also laid cables on the floor of the ocean allowing telegrams to be sent from India and China. In 1818, the British controlled most of the Indian subcontinent and began imposing their ideas and ways on its residents, including different succession laws that allowed the British to take over a state with no successor and gain its land and armies, new taxes, and monopolistic control of industry. The British also collaborated with Indian officials to increase their influence in the region. The British also began connecting Indian cities by railroad and telegraph to make travel and communication easier as well as building an irrigation system for increasing agricultural production. When Western education was introduced in India, Indians were quite influenced by it, but the inequalities between the British ideals of governance and their treatment of Indians became clear. In response to this discriminatory treatment, a group of educated Indians established the Indian National Congress, demanding equal treatment and self-governance. After taking control of much of India, the British expanded further into Burma, Malaya, Singapore, North Borneo and Sarawak, and Brunei, with these colonies becoming further sources of trade and raw materials for British goods. 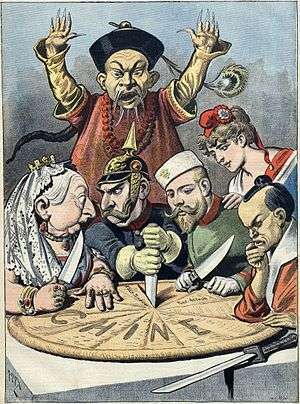 A shocked mandarin in Manchu robes in the back, with Queen Victoria (United Kingdom), Wilhelm II (Germany), Nicholas II (Russia), Marianne (France), and Emperor Meiji (Japan) discussing how to cut up a king cake with Chine ("China" in French) written on it. In 1839, China found itself fighting the First Opium War with Great Britain after the Governor-General of Hunan and Hubei, Lin Zexu, banned the foreign trade of opium. China was defeated, and in 1842 agreed to the provisions of the Treaty of Nanking. Hong Kong Island was ceded to Britain, and certain ports, including Shanghai and Guangzhou, were opened to British trade and residence. In 1856, the Second Opium War broke out; the Chinese were again defeated and forced to the terms of the 1858 Treaty of Tientsin and the 1860 Convention of Peking. 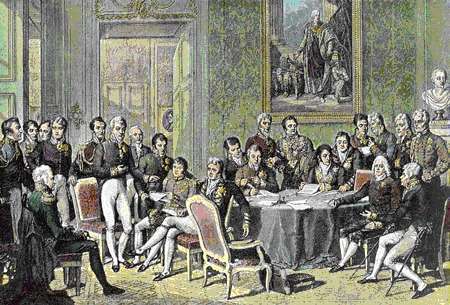 The treaty opened new ports to trade and allowed foreigners to travel in the interior. Missionaries gained the right to propagate Christianity, another means of Western penetration. The United States and Russia obtained the same prerogatives in separate treaties. Natural disasters, famine and internal rebellions had enfeebled China in the late Qing. In the late 19th century, Japan and the Great Powers easily carved out trade and territorial concessions. These were humiliating submissions for the once-powerful Manchus who ruled China. Still, the central lesson of the war with Japan was not lost on the Russian General Staff: an Asian country using Western technology and industrial production methods could defeat a great European power. Jane E. Elliott criticized the allegation that China refused to modernize or was unable to defeat Western armies as simplistic, noting that China embarked on a massive military modernization in the late 1800s after several defeats, buying weapons from Western countries and manufacturing their own at arsenals, such as the Hanyang Arsenal during the Boxer Rebellion. In addition, Elliott questioned the claim that Chinese society was traumatized by the Western victories, as many Chinese peasants (90% of the population at that time) living outside the concessions continued about their daily lives, uninterrupted and without any feeling of "humiliation". The rise of Japan as an imperial power after the Meiji Restoration led to further subjugation of China. In a dispute over China's longstanding claim of rule in Korea, war broke out between China and Japan, resulting in another humiliating defeat for the Chinese. By the Treaty of Shimonoseki in 1895, China was forced to recognise effective Japanese rule over Korea, and the island of Taiwan was ceded to Japan. Britain's quest for southern Africa and their diamonds led to social complications and fallouts that lasted for years. To work for their prosperous company, British businessmen hired both white and black South Africans. But when it came to jobs, the white South Africans received the higher paid and less dangerous ones, leaving the black South Africans to risk their lives in the mines for limited pay. This process of separating the two groups of South Africans, whites and blacks, was the beginning of segregation between the two that lasted until 1990. Up until 1876, Belgium had no colonial presence in Africa. 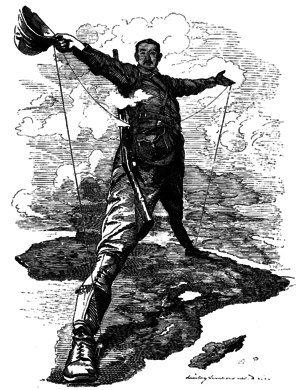 It was then that its king, Leopold II created the International African Society. Operating under the pretense of an international scientific and philanthropic association, it was actually a private holding company owned by Leopold. Henry Morton Stanley was employed to explore and colonize the Congo River basin area of equatorial Africa in order to capitalize on the plentiful resources such as ivory, rubber, diamonds, and metals. Up until this point, Africa was known as "the Dark Continent" because rapids on the Congo River had previously made exploration of this area impossible. Over the next few years, Stanley overpowered and made treaties with over 450 native tribes, acquiring him over 2,340,000 square kilometres (905,000 sq mi) of land, nearly 67 times the size of Belgium. No population figures exist from before or after the period, but it is estimated that a maximum of 10 million people died from violence, famine and disease. However, some sources point to a population of just 16 million in total, rendering the high estimates unlikely. King Leopold II profited from the enterprise with a 700% profit ratio for the rubber he took from Congo and exported. He used propaganda to keep the other European nations at bay, for he broke almost all of the parts of the agreement he made at the Berlin Conference. For example, he had some Congolese pygmies sing and dance at the 1897 World Fair in Belgium, showing how he was supposedly civilizing and educating the natives of the Congo. Under significant international pressure, the Belgian government annexed the territory and renamed it the Belgian Congo, removing it from the personal power of the king. Of all the colonies that were conquered during the wave of New Imperialism, the human rights of the Congo Free State were considered the worst. In Oceania, France got a leading position as imperial power after making Tahiti and New Caledonia protectorates in 1842 and 1853 respectively. After navy visits to Easter Island in 1875 and 1887, Chilean navy officer Policarpo Toro managed to negotiate an incorporation of the island into Chile with native Rapanui in 1888. By occupying Easter Island, Chile joined the imperial nations. (p53) By 1900 nearly all Pacific islands were in control of Britain, France, United States, Germany, Japan, and Chile. 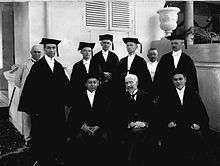 The Dutch Ethical Policy was the dominant reformist and liberal political character of colonial policy in the Dutch East Indies during the 20th century. In 1901, the Dutch Queen Wilhelmina announced that the Netherlands accepted an ethical responsibility for the welfare of their colonial subjects. This announcement was a sharp contrast with the former official doctrine that Indonesia was mainly a wingewest (region for making profit). It marked the start of modern development policy, implemented and practised by Alexander Willem Frederik Idenburg ; whereas other colonial powers usually talked of a civilizing mission, which mainly involved spreading their culture to colonized peoples. ↑ "Corn Law". Encyclopædia Britannica Online. 10 November 2010. ↑ Nadel, George H. and Curtis, Perry (1969). Imperialism and Colonialism. Macmillan. ↑ "Franco-German War". Encyclopædia Britannica Online. 10 November 2010. ↑ Kindleberger, C. P., (1961), "Foreign Trade and Economic Growth: Lessons from Britain and France, 1850-1913", The Economic History Review, Vol. 14, no. 2, pp. 289-305. ↑ Porter, B., (1996), The Lion's Share: A Short History of British Imperialism 1850-1995, (London: Longman), pp.118ff. 1 2 Lambert, Tim. "England in the 19th Century." Localhistories.org. 2008. 24 March 2015. 1 2 3 Platt, D.C.M. "Economic Factors in British Policy during the 'New Imperialism.'" Past and Present, Vol. 39, (April 1968). pp.120–138. jstor.org. 23 March 2015. 1 2 3 4 5 Davis, John. A History of Britain, 1885–1939. MacMillan Press, 1999. Print. 1 2 3 4 5 Ward, Paul. Britishness Since 1870. Routledge, 2004. Print. 1 2 Coyne, Christopher J. and Steve Davies. "Empire: Public Goods and Bads" (Jan 2007). 1 2 Eley, Geoff "Social Imperialism" pages 925–926 from Modern Germany Volume 2, New York, Garland Publishing, 1998 page 925. ↑ Hanna, Willard A. ‘Indonesian Banda: Colonialism and its Aftermath in the Nutmeg Islands.’ (1991). ↑ Tamm 2011, p. 3. 1 2 Tamm 2011, p. 4. ↑ John King Fairbank (1978). The Cambridge History of China: Late Chʻing, 1800–1911, pt. 2. Cambridge University Press. p. 94. ISBN 978-0-521-22029-3. ↑ Alex Marshall (22 November 2006). The Russian General Staff and Asia, 1860–1917. Routledge. p. 78. ISBN 978-1-134-25379-1. ↑ Alex Marshall (22 November 2006). The Russian General Staff and Asia, 1860–1917. Routledge. p. 79. ISBN 978-1-134-25379-1. ↑ Alex Marshall (22 November 2006). The Russian General Staff and Asia, 1860–1917. Routledge. p. 80. ISBN 978-1-134-25379-1. ↑ Alex Marshall (22 November 2006). The Russian General Staff and Asia, 1860–1917. Routledge. pp. 85–. ISBN 978-1-134-25379-1. ↑ John King Fairbank (1978). The Cambridge History of China: Late Chʻing, 1800–1911, pt. 2. Cambridge University Press. p. 96. ISBN 978-0-521-22029-3. ↑ David Scott (7 November 2008). China and the International System, 1840–1949: Power, Presence, and Perceptions in a Century of Humiliation. SUNY Press. pp. 104–105. ISBN 978-0-7914-7742-7. ↑ David Scott (7 November 2008). China and the International System, 1840–1949: Power, Presence, and Perceptions in a Century of Humiliation. SUNY Press. pp. 111–112. ISBN 978-0-7914-7742-7. ↑ John King Fairbank (1978). The Cambridge History of China: Late Chʻing, 1800–1911, pt. 2. Cambridge University Press. p. 95. ISBN 978-0-521-22029-3. ↑ Pamela Nightingale; C.P. Skrine (5 November 2013). 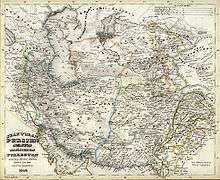 Macartney at Kashgar: New Light on British, Chinese and Russian Activities in Sinkiang, 1890–1918. Routledge. p. 109. ISBN 978-1-136-57609-6. ↑ Tamm 2011, p. 353. ↑ Douglas Story (1907). To-morrow in the East. Chapman & Hall, Limited. p. 224. ↑ Casemate, Roger (1904). Casemate report on the Administration (PDF). London: British Parliamentary Papers. ↑ Katzenellenbogen, Simon (18 November 2010). Peter N. Stearns, ed. "Congo, Democratic Republic of the". Oxford Encyclopedia of the Modern World (e-reference edition). Oxford University Press. Archived from the original on 26 July 2014. ↑ Schimmer, Russell (11 November 2010). index.html "Belgian Congo" Check |url= value (help). Genocide Studies Program. Yale University. ↑ Gondola, Ch. Didier. "Congo (Kinshasa)." World Book Advanced. World Book, 2010. Web. 18 Nov. 2010. 1 2 Bernard Eccleston, Michael Dawson. 1998. The Asia-Pacific Profile. Routledge. p. 250. ↑ Winks, Robin W. "Imperialism." Encyclopedia Americana. Grolier Online, 2010. Web. 18 Nov. 2010. ↑ Robert Cribb, 'Development policy in the early 20th century', in Jan-Paul Dirkse, Frans Hüsken and Mario Rutten, eds, Development and social welfare: Indonesia’s experiences under the New Order (Leiden: Koninklijk Instituut voor Taal-, Land- en Volkenkunde, 1993), pp. 225-245. ↑ Ricklefs, M.C. (1991). A History of Modern Indonesia since c.1300. London: Macmillan. p. 151. ISBN 0-333-57690-X. 1- Coyne, Christopher J. and Steve Davies. "Empire: Public Goods and Bads" (Jan 2007). 2- Coyne, Christopher J. and Steve Davies. "Empire: Public Goods and Bads" (Jan 2007).